Every marriage must rely on trust. And in our union with Christ, we must likewise remain faithful to Him and His Word. The book of Revelation speaks about the true bride of Christ, but there is another “woman” who is trying to seduce believers away from God’s Word. Revelation contains a shocking message about Babylon—the other woman. Babylon is fallen, and people must escape her charms or perish! Thus begins the second part of the three angels’ messages. Here you will learn the stunning real identity of spiritual Babylon and how to avoid being hypnotized by her fatal beauty. What could be more important? 1. How does Jesus describe Babylon in the book of Revelation? “I will show you the judgment of the great harlot who sits on many waters. ... And I saw a woman sitting on a scarlet beast which was full of names of blasphemy, having seven heads and ten horns. The woman was arrayed in purple and scarlet, and adorned with gold and precious stones and pearls, having in her hand a golden cup full of abominations and the filthiness of her fornication. And on her forehead a name was written: MYSTERY, BABYLON THE GREAT, THE MOTHER OF HARLOTS AND OF THE ABOMINATIONS OF THE EARTH” (Revelation 17:1, 3–5). Answer: In Revelation 17:1–5, Jesus describes Babylon as a harlot dressed in red and purple. She is seated on a scarlet-colored beast, which has seven heads and ten horns and sits on many waters. 2. Who is the symbolic pure woman of Revelation chapter 12? Answer: A pure woman, clothed with the sun, is depicted in Revelation 12:1–6. We learned in Study Guide 20 that this pure woman symbolizes God’s pure church, which is faithful to her husband, Jesus. We will study Revelation chapter 12 in depth in Study Guide 23. 3. What does a harlot represent in Bible prophecy? “Cause Jerusalem to know her abominations. ... You trusted in your own beauty, played the harlot” (Ezekiel 16:2, 15). Answer: As a pure woman symbolizes a pure church that is faithful to Jesus, so an impure woman represents an impure, or fallen, church that is unfaithful to Jesus (James 4:4). 4. Can we identify the harlot (church) that is called “Babylon the Great, the Mother of Harlots” in Revelation chapter 17? of purple at important functions, and red is the color of the robes of Catholic cardinals. C.The seven heads of the beast (verse 3) upon which the woman is seated are seven mountains (verse 9). It is well-known that Rome, the headquarters of the papacy, is built upon seven hills, or mountains. E.She ruled “over the kings of the earth” (verse 18). Alexander Flick says that by the 13th century, the pope was “at least in theory ... the ruler of the whole world in temporal and spiritual affairs.”2 This point could fit no other earthly kingdom or government. The papacy is described in Revelation 17 too clearly for doubt. 1John A. O'Brien, The Faith of Millions (Huntington, IN: Our Sunday Visitor, Inc., 1974), p. 401. 2The Rise of the Mediaeval Church (New York: Burt Franklin, 1959), 575. 3George Eldon Ladd, The Blessed Hope (Grand Rapids, MI: William B. Eerdman's Publishing Co., 1956), pp. 32-34. 5. What is the literal meaning of the word “Babylon,” and what is its origin? “Let us build ... a tower whose top is in the heavens. ... And the Lord said ... let Us go down and there confuse their language, that they may not understand one another’s speech. ... Therefore its name is called Babel [“confusion”]; because there the Lord confused the language” (Genesis 11:4, 6, 7, 9). 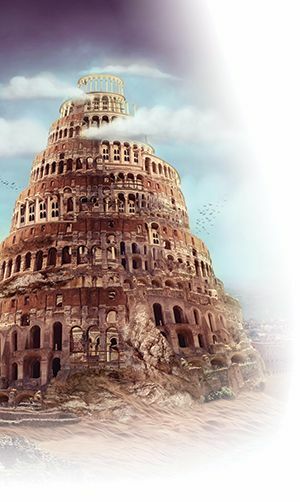 Answer: The words “Babel” and “Babylon” mean “confusion.” The name Babylon originated at the Tower of Babel, which was erected after the Flood by defiant pagans who hoped to build it so high that no floodwaters could ever cover it (verse 4). But the Lord confounded their language, and the resultant confusion was so great they were forced to halt construction. They then called the tower “Babel” (Babylon), or “confusion.” Later, in Old Testament days, a worldwide pagan kingdom named Babylon arose; it was an enemy of God’s people, Israel. It embodied rebellion, disobedience, persecution of God’s people, pride, and idolatry (Jeremiah 39:6, 7; 50:29, 31–34; 51:24, 34, 47; Daniel 3 and 5). In Isaiah chapter 14, God uses Babylon as a symbol of Satan because Babylon was so hostile and devastating to God’s work and His people. In the New Testament book of Revelation, the term “Babylon” is used to signify a religious kingdom that is an enemy of God’s spiritual Israel—His church (Revelation 14:8; 16:19). 6. Who are the harlot daughters of the mother Babylon described in Revelation 17:5? Answer: They are some of the churches that originally protested the false teachings of mother Babylon and left her during the great Protestant Reformation. But later they began to mimic the principles and actions of the mother and thus became fallen themselves. No woman is born a harlot. Neither were the symbolic Protestant daughter churches born fallen. Any church or organization that teaches and follows Babylon’s false doctrines and practices could become a fallen church or daughter. So Babylon is a family name that embraces both the Mother Church and those of her daughters who are also fallen. 7. In Revelation 17, why is mother Babylon pictured as riding on the beast? What does the beast represent? In Revelation 13:1–7, Jesus portrays the papacy as a combination of church and state. (For more information, see Study Guide 20.) In Revelation chapter 17, Jesus depicts the church (the harlot) and state (the beast) as separate entities, though related. The woman is astride the beast, which signifies that the church is in control of the state. Answer: In Revelation 13:1-10, Jesus portrays the papacy as a combination of church and state. (For more information, see Study Guide 20.) In Revelation chapter 17, Jesus depicts the church (the harlot) and state (the beast) as separate entities, though related. The woman is astride the beast, which signifies that the church is in control of the state. 8. What other powers unite with the papacy in fulfilling end-time events? “I saw three unclean spirits like frogs coming out of the mouth of the dragon, out of the mouth of the beast, and out of the mouth of the false prophet. For they are spirits of demons, performing signs, which go out to the kings of the earth and of the whole world, to gather them to the battle of that great day of God Almighty” (Revelation 16:13, 14). Answer: The dragon of Revelation 12:3, 4 and the false prophet of Revelation 13:11–14 and 19:20 form an alliance with the beast of Revelation 13:1–8, or the papacy. A. The dragon of Revelation 12 represents Satan working through pagan Rome. (See Study Guide 20 for more details.) In these last days the unholy partnership includes non-Christian religions such as Islam, Buddhism, Shintoism, Hinduism, the New Age, secular humanism, etc. B. The false prophet represents apostate Protestantism centered in the United States, which will take the lead in urging worldwide worship of the beast (see Study Guide 21). C. The beast is the papacy (see Study Guide 20). D. These three powers: non-Christian religions and governments, apostate Protestantism, and Roman Catholicism will become allies in Armageddon—the final war against God, His law, and His loyal followers. This coalition is called “Babylon the great” by Jesus in Revelation 18:2. 9. How will organizations with such diverse backgrounds effectively unite? “These are of one mind, and they will give their power and authority to the beast” (Revelation 17:13). A. Catholicism prays to Mary and other dead saints and believes these saints bless their followers with miracles. B. Non-Christian religions are overwhelmingly based on belief in and worship of spirits of the dead. The New Age stresses “channeling”—supposed talking to the spirits of the dead. C. Apostate Protestantism believes that the dead are not dead but, rather, alive in heaven or hell. Thus they are susceptible to deception by demons who pose as spirits of the dead. 10. For what sins does God indict Babylon? “Babylon the great is fallen” (Revelation 18:2). “... and has become a dwelling place of demons, a prison for every foul spirit. ... By your sorcery all the nations were deceived” (Revelation 18:2, 23). “The inhabitants of the earth were made drunk” from the wine of abomination and fornication found in her cup (Revelation 17:2, 4; 18:3). “The kings of the earth have committed fornication with her” (Revelation 18:3). Answer: To fall means to turn away from Bible truth and the worship of the true God (2 Peter 3:17, 18). Thus, God is indicting Babylon for (1) conferring with devils by inviting evil spirits into its midst through spiritism and for (2) deceiving virtually the entire world through lying, demonic spirits. Lies are a type of abomination in the Bible (Proverbs 12:22). Babylon’s wine, which contains false teachings, disorients and benumbs those who drink it and makes them spiritually drunk. 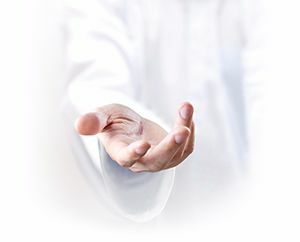 In contrast, the church is the bride of Christ (Revelation 19:7, 8) and loves Him and is loyal to Him only—which Jesus said means keeping His commandments (John 14:15). Therefore, the papacy is censured here for turning away from her husband, Jesus (James 4:4) and for forming illicit relationships with civil governments (union of church and state) for her support. In addition, Babylon trafficks in the “souls of men” (Revelation 18:11–13); thus, God denounces Babylon for treating people as merchandise rather than as precious children of God. 11. 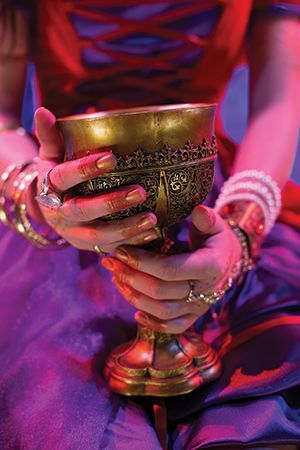 What are some of the false teachings contained in Babylon’s wine that make people spiritually drunk and confused? A. The law of God has been amended or repealed. God’s law can never be changed or repealed (Luke 16:17). See Study Guide 6 for powerful evidence of this truth. B. The soul is immortal. C. Sinners burn eternally in hell. D. Baptism by immersion is not necessary. E. Sunday is God’s holy day. Note: These false teachings, once believed, tend to bring “confusion” (which is what the term “Babylon” literally means) and make understanding Scripture much more difficult. It’s sobering to think that some might unknowingly be drinking Babylon’s wine. Perhaps this is all new to you. If so, ask God to guide you (Matthew 7:7, 8). Then search the Scriptures (Acts 17:11). Promise that you will follow where Jesus leads, and He will not permit you to end up in error (John 7:17). 12. Who will be on the Lord’s side in the battle of Armageddon? Answer: In this final battle, the angels of heaven (Hebrews 1:13, 14; Matthew 13:41, 42) and God’s people—the remnant (Revelation 12:17)—will be allied with Jesus, who leads the armies of heaven (Revelation 19:11–16) against Satan and his supporters. God’s remnant is composed of those who refuse the falsehoods of Babylon (see Study Guide 23). They are known for (1) their love of Jesus (1 John 5:2, 3), (2) their loyalty to and faith in Him (Revelation 14:12), and (3) their obedience to His Word and commandments (Revelation 12:17; John 8:31, 32). 13. What will be Satan’s strategy in this final conflict between God’s truth and Satan’s lies? Answer: Though Satan hates God and His Son, he and his demons will pose as holy angels and as devoted Christian clergymen (2 Corinthians 11:13–15). What he presents as evidence for his side will seem so righteous, spiritual, and Jesus-like that nearly everybody on earth will be deceived and follow him (Matthew 24:24). He will doubtless use the Bible, as he did when tempting Jesus in the wilderness (Matthew 4:1–11). Satan’s logic is so persuasive that it deceived one third of the angels of heaven, Adam and Eve, and, at the time of the Flood, everybody on earth except eight people. 14. What is God’s counter-strategy? Answer: God always counters Satan’s lies with truth. When tempted by Satan in the wilderness, Jesus repeatedly quoted Scripture (Matthew 4:1–11). Through His remnant people, God will tell the truth about the unbiblical nature of Babylon the great. He will make it clear that Babylon is presenting a false gospel (Galatians 1:8–12), which has opened the door for billions to be deceived and lost. 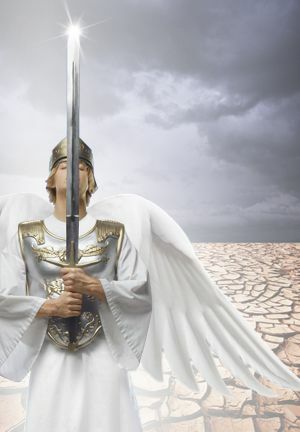 God’s counter-movement is outlined in the great three angels’ messages of Revelation 14:6–14, which we are examining in nine of the 27 Study Guides in this series. These three fantastic messages expose and warn against Satan’s lies and counterfeits and call people to worship God and obey Him, not only in spirit but in Bible truth as well. 15. 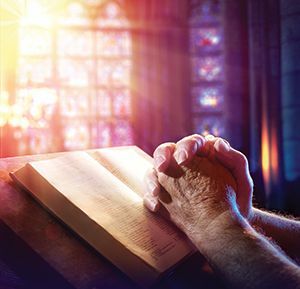 Will God’s end-time messages of warning and hope be effective? “After these things I saw another angel coming down from heaven, having great authority, and the earth was illuminated with his glory” (Revelation 18:1). Answer: In Scripture, angels represent messengers or messages (Hebrews 1:13, 14). God’s end-time appeal is symbolized by a mighty angel whose power is so great that the entire world is lightened with God’s truth and glory. 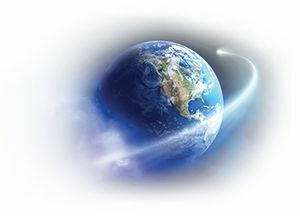 This final, God-given message will go to the inhabitants of the entire world (Revelation 14:6; Mark 16:15; Matthew 24:14). 16. What final, urgent appeal will Jesus make to those who are in Babylon? Answer: He will say, “Come out of her, my people, lest you share in her sins, and lest you receive of her plagues. For her sins have reached to heaven, and God has remembered her iniquities” (Revelation 18:4, 5). Please notice that Jesus refers to many people in Babylon as “my people.” There are millions of sincere Christians in Babylon who have not yet heard this warning message. These people love the Lord supremely, and Jesus says they are His children. 17. How will people who love Jesus but who are now in Babylon respond when they hear His appeal to come out? Answer: Jesus says, “Other sheep I have which are not of this fold; them also I must bring, and they will hear My voice; and there will be one flock and one shepherd. ... My sheep hear My voice, and I know them, and they follow Me” (John 10:16, 27). Jesus recognizes His children who are in Babylon. Further, He promises to call them out of Babylon before it is destroyed. And, most glorious of all, Jesus promises that His people who are yet in Babylon will hear and recognize His voice and come out to safety. Note: This is the seventh Study Guide in our series of nine on the three angels’ messages of Revelation 14:6–14. Our next Study Guide will describe God’s end-time church so plainly that you cannot fail to recognize it. 18. If you are in Babylon, are you willing to heed Jesus’ urgent appeal to come out of her? 1. Shouldn’t I remain in Babylon and try to reform her instead of coming out? No. Jesus says Babylon is going to be destroyed, not reformed. She will become hopelessly drunk with her wine (identified as false doctrine in Revelation 18:2–6). It is for this reason that He calls His people out (Revelation 18:4). 2. Who are the kings of the east of Revelation 16:12? A. Jesus’ second coming will be from the east (Matthew 24:27). B. God’s glory comes from the east (Ezekiel 43:2). C. Revelation’s sealing angel comes from the east (Revelation 7:2). D. The sun, symbolizing Jesus, rises in the east (Malachi 4:2). 3. Does the warning about the fall of Babylon imply that Babylon has not always been fallen? Yes. Many of the churches comprising Babylon have stood strong, tall, and loyal to Jesus in the past. The founders were flawed but devoted people of God who were searching the Bible diligently to discover all of its truth. Not all churches are fallen today. However, any church that teaches mother Babylon’s false doctrines and follows her practices could become one of her fallen daughters. 4. When called out of Babylon, where should a Christian go? Find the people who keep God’s commandments, have the faith of Jesus, and are preaching the three angels’ messages worldwide, and join them (Revelation 14:6–12). Study Guide 23 will fully describe God’s church for the last days. 5. What do the 10 kings of Revelation 17:12–16 represent? 6. What does the symbolism of "frogs" mean in Revelation 16:13, 14? A frog captures its prey with its tongue, which could symbolize the counterfeit gift of tongues now sweeping the world. Please remember that miracles, including the gift of tongues, prove only one thing—supernatural power. But the Bible informs us that supernatural power can be from either God or Satan. It further explains that Satan, posing as an angel (2 Corinthians 11:14), will utilize supernatural miracles so effectively that almost the entire world will be deceived and follow him (Revelation 13:3). At present, he is using the counterfeit gift of tongues to weld together churches and religions of all kinds—including pagans. Each of these feels that the gift of tongues is proof of authenticity. The Bible warns that we must test the spirits (1 John 4:1). If they do not agree with the Bible, they are counterfeits (Isaiah 8:19, 20). Further, the true gifts of the Holy Spirit are never given to one who deliberately and knowingly disobeys God (Acts 5:32). There is a true gift of tongues. It is a miraculous enabling to fluently speak foreign languages previously unlearned and unknown by the speaker (Acts 2:4–12). God uses this gift when needed to present His end-time message to those of other languages. It was needed at Pentecost because 17 language groups were in the crowd and His disciples didn’t know all of those languages. 7. Will the New Age movement play a major role in the final end-time conflict between good and evil? 8. It’s clear that God reveals activities of the antichrist, or papacy, in Daniel chapter 7 and Revelation chapters 13, 17, and 18. Is the antichrist mentioned elsewhere in Scripture? Yes. The beast, or antichrist, power (or its activities) is referred to in at least nine prophecies of the Old and New Testaments: Daniel 7; Daniel 8, 9; Daniel 11; Revelation 12; Revelation 13; Revelation 16; Revelation 17; Revelation 18; and Revelation 19. Surely, when God stresses the same power nine different times, He wants us to listen! 9. Did Satan’s kingdom called “Babylon” originate at the Tower of Babel? No. It originated when Satan rebelled against God in heaven. The prophet Isaiah characterized Lucifer at the time of his fall as the king of Babylon (Isaiah 14:4, 12–15). God has looked upon Satan’s kingdom as Babylon from the very beginning of sin. Satan’s avowed aim is to wipe out God’s kingdom and establish his own. Jesus said there are only two sides (Matthew 7:13, 14). Every soul on earth will finally line up on the side of either Jesus or Babylon. It is a matter of life and death. Those who serve and support Jesus will be saved in His heavenly kingdom. Those who support Babylon will be destroyed. And there is very little time left for decision making. This is why heeding Jesus’ end-time warning against Babylon is so extremely crucial and urgent. 10. In Revelation 16:12, what is meant by the waters of the Euphrates River being dried up to prepare the way for the kings of the east? Before the ancient kingdom of Babylon was captured by the Median general Darius, the water of the River Euphrates, which passed underneath the walls of the city, was diverted into a man-made lake bed. This diversion permitted Darius’ army to capture the city at night by entering from underneath the walls through the empty riverbed. In the prophecies of Revelation, water symbolizes people (Revelation 17:15). Thus, the waters of the River Euphrates refer to the followers of “Babylon the great,” whose support dries up when they turn against Babylon with intent to destroy her (Revelation 17:16). _____ Mary, the mother of Jesus. _____ New Testament ladies--Priscilla, Elizabeth, and Dorcas. _____ The queens of Europe. 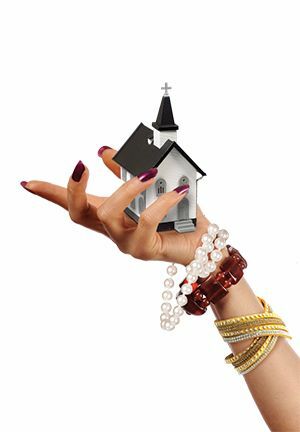 _____ Churches that follow mother Babylon's false doctrines and practices. _____ The church in control of the state, which closely supports it. _____ Women make good animal trainers. _____ Women should ride and not walk. _____ Death is a sleep. _____ Sinners burn eternally in hell. _____ Sunday as God's holy day. 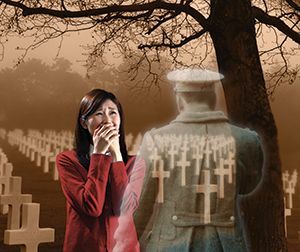 _____ Spirits, or souls, are immortal. _____ Law of God repealed or amended. _____ An angel fell from heaven. _____ Babylon has been hit by an earthquake. _____ The mother church and other churches who embrace her false teachings have fallen away from Bible truth and true worship of the true God. _____ Jesus and His Father. _____ Satan working through paganism. _____ Nations of the world. _____ A severe water shortage in the last days. _____ There will be no food supply in the end time. _____ Babylon will lose the support of its followers. _____ To be an alcoholic. _____ To join her in partying. _____ To be physically ill.
_____ To be confused by her false doctrines. 16. If you are in Babylon, are you willing to heed Jesus’ urgent appeal to come out of her?